Gwynne, John. Malice. Orbit, 2012. When this book makes it big—and it certainly deserves to do so—people will be jumping all over themselves to make comparisons to George R.R. Martin, the current king of gritty fantasy (just as everyone used to compare everything to Tolkien, the doyen of high fantasy). As a comparison, it's not entirely without merit: it's plenty grim, with distinct echoes of Red Wedding-esque betrayal in particular, and plenty of great game politics, with only a limited deployment of magic. But what Gwynne has accomplished is both less and more than the Song of Ice and Fire. First of all, the scale—while impressively detailed—is noticeably smaller, and feels more manageable than the grand epic drama of Westeros (let alone the rest of Martin's wide world), with their huge armies and titanic clashes. If Martin speaks of tens of thousands (or more), Gwynne limits himself to thousands—and usually far fewer. In Gwynne's world of exiles decimated by an ancient catastrophe, humans have only started to dominate the land recently, and while the warrior arts are important to every man's life, each also seems to have a trade: the 'armies' of this world are not professional soldiers but a kind of clannish militia. This should not be thought of as a weakness of the book, not by any means. 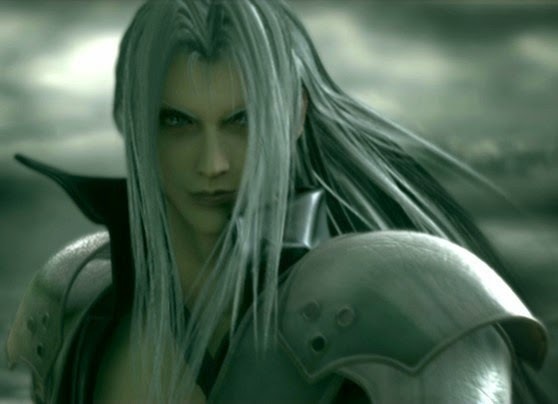 Combat in Malice takes place on a human scale, where it is still possible to believe that individuals, perhaps even those without any great martial skill, can affect the course of a battle. This is so because a culture of honor—but not chivalry per se, at least not of the Arthurian kind, the knights and ladies and foppery of high medieval romances—pervades life in the world of Malice, and as such, combat is still largely a series of duels, almost Homeric in its cadences (though thankfully without Homer going on and on about Achilleus's shield in book sixteen!). Gwynne's work is also more than the rather limiting knee-jerk comparison to Martin might suggest. For one thing, he is to be commended for crafting such a powerful mythology for this small-enough-to-be-comprehensible world, and keeping a tight focus on the moral drama at the heart of the prophecy regarding the Zoroastrian struggle set to commence between the nice god and his human avatar, Bright Star (the good guy, who the attentive reader will correctly ID almost immediately) and the bad god and his own avatar, the Black Sun (not such a good guy). Rather than "malice" itself, I would say the one catalyst provoking much of the more horrid events in the book is jealousy, which, combined with an honor culture in which any sort of slight could lead to vicious duels (or any success to great rewards), is a potent motivator indeed. One hopes Gwynne wasn't drawing on personal experience to paint such a vivid picture of the sort of childhood feuds that festered, in this honor-based society, into full-blown murder plots! Naturally, some aspects of the book could be better. Stylistically, Gwynne's prose, and dialogue, is somewhat uneven, with his strongest passages tending to be the least dialogue-heavy; still, he does manage occasional flashes of true brilliance (the chapter describing Corban eventually selecting a name for his horse was especially memorable). And some aspects of the story he's begun to weave together here are formulaic enough to be predictable, and predictable enough to be, essentially, quite melodramatic dramatic irony; sometimes a good-hearted character keeps following at the beck and call of a(n obviously) black-hearted traitor for an unbearably long time. 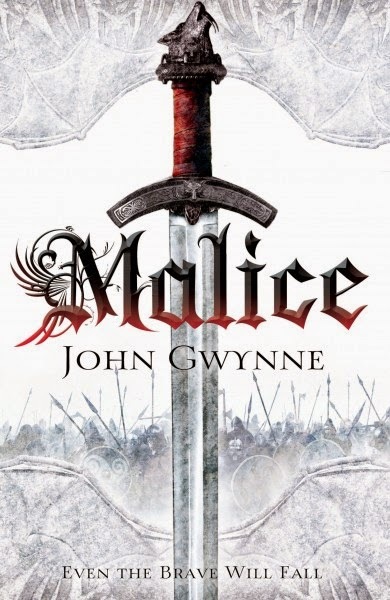 But lest we judge too harshly, remember this: Malice is Gwynne's first book, and as such is an astonishingly forceful tour (I've sworn off French expressions while writing under my nom de plume of Zhaoyun—haha!). When you look at this guy, is your first thought "Gosh, I hope I can protect this gentle soul from the bad guys impugning his good name! I'll bet he likes to pet bunnies, too!" If so, you're like more than a few good-hearted characters in Malice, devoted to guys who are obviously sworn to their world's equivalent to Satan! Nerd coefficient: 8/10 "Well worth your time and attention"
Don't be fooled by this score, which probably seems low to readers used to other sites and their endless lists of 10/10; here at Nerds of a Feather, an 8 is quite rare! Edited Version of "Those Guidelines"
Is Amazon Engaging in Predatory Behavior?